Certifications/Qualifications Attained: This course is in association with ZJB Training and you receive an accredited/recognised diploma - Insurable allowing you to gain insurance and use the therapy with the general public and charge. 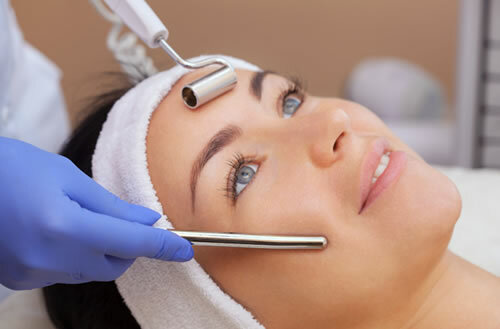 WHAT IS A GALVANIC & HIGH FREQUENCY TREATMENT? Galvanic treatments work by using positive and negative current to extract deep congestion but also push nutrients deeper into the skin to help with targeted problems. Great for anti- ageing as well as congested skin. High frequency treatments help with treating stubborn acne, improving large pores, reducing the appearance of fine lines and wrinkles as well as rejuvenate the skin.